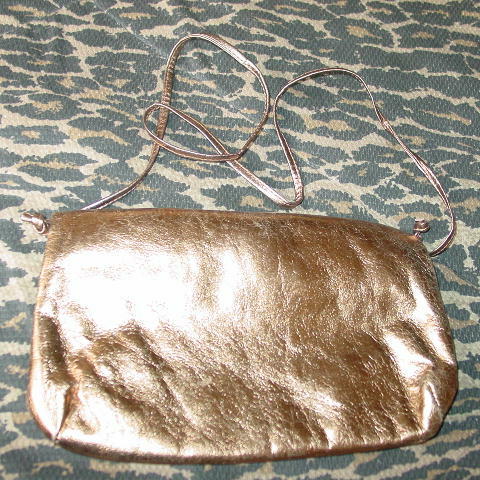 This vintage leather evening purse is in a shiny golden-bronze with a touch of copper color, with a gathered top opening in a shiny bronze color. The top folds over 2 3/8" and has a hidden magnetic snap closure. Hidden in the front under the foldover is a large grosgrain fabric lined compartment with a zipper pull ornament that hangs downward. 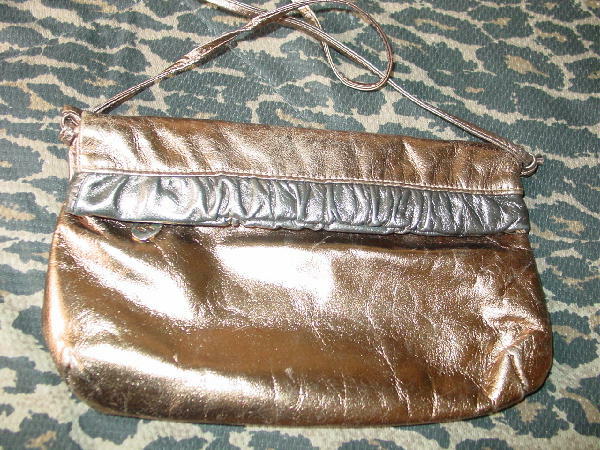 To get into the center section of the purse, you unsnap the hidden closure and pull the top open in the center. The opening is hinged on the sides. The interior is lined with the same red-wine grosgrain fabric. There is a 37" long by 1/4" wide shoulder strap. 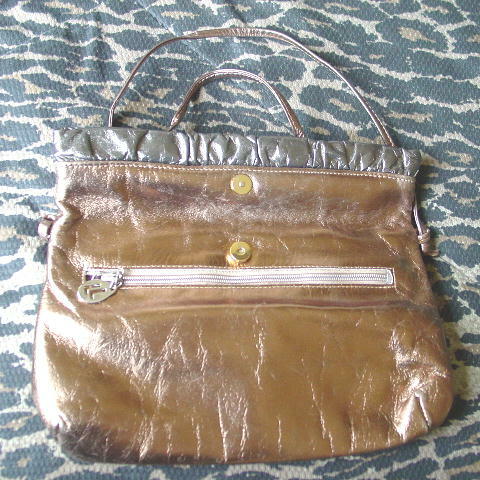 There are 2 small scuff marks on the back of the purse. They only show in certain lights.